If you are an avid gambling enthusiast, there is no reason you should not know Leander Games Software. The Bahamas based firm has a firm foothold in the casino gaming industry today even though the company was formed just a few years back. With an assortment of slots in its kit, no gambler is ever bound to get bored playing their games. The developer has also bagged numerous awards over the years for their products which are beloved by the gambling community. The online gaming industry has been operating on sheer merit, and the coming of age small game providers has managed to provide a healthy dose of competition to the big wigs out there. The company has already formed partnerships with many online major casinos and development teams providing audiences with a constant stream of games. Leander Games (LeGa) is a collective effort of Steven Matsell, Marcelo Blanco and Ramiro Atucha who went on to make the company a reality in the year 2008. Both Ramiro and Marcelo are the original founders of the company and also responsible for building the production capabilities and designing the LeGa platform. Their combined expertise and knowledge have been instrumental in the company’s growth that has been since the formation delivering only top-notch games to players. Coming from Latin American influences, the developer has set its sights on targeting the fast-growing home market. If you scroll through their title cases, most of them have Latin American influences and are aesthetically quite pleasing to play. As of 2016, Leander Games casinos signed an agreement to provide its services to Stakelogic which happens to be a part of the Novomatic Interactive Group. This was the first one of a kind agreement where a developer and a third party provider have joined hands to work together on the LeGa Remote Gaming Server (RGS) platform. 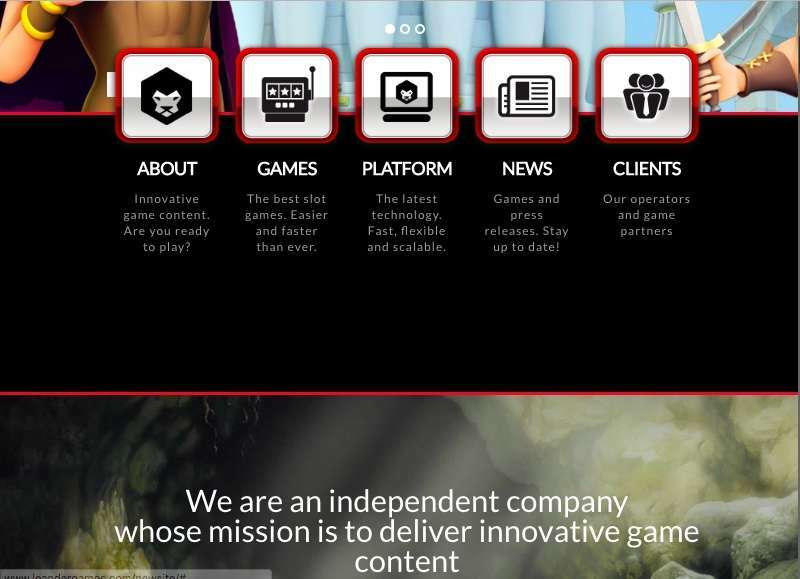 The company has also signed another contract with Genil, another third-party provider that would entail the distribution of gaming technology for more than 130 titles. This deal also initiated that Leander Games provides their unique i3D range and patented Spin 16 online productions. It has also made a subsequent deal with Iforium to provide some of their popular titles with the help of their Gameflex platform. The main idea behind the signing of this deal was so that the LeGa RGS platform could be integrated successfully with Iforium’s Gameflex platform. The company has been making such deals with many such third party providers in order to expand its library and also implement other games into its portfolio. Leander Games software boasts a rich portfolio of titles that are ever liked by the general gambling public. Slick animation, cutting-edge graphics, feature rich gameplay have all been attributed to the success of this developer and rightly so. A quick glance at the slots offered reveals interesting assortment titles on offer for gamblers. Some of the popular titles enjoyed by gamblers include Zombie Rush, a progressive title where the goal is to avoid those brain-eating zombies from taking over. 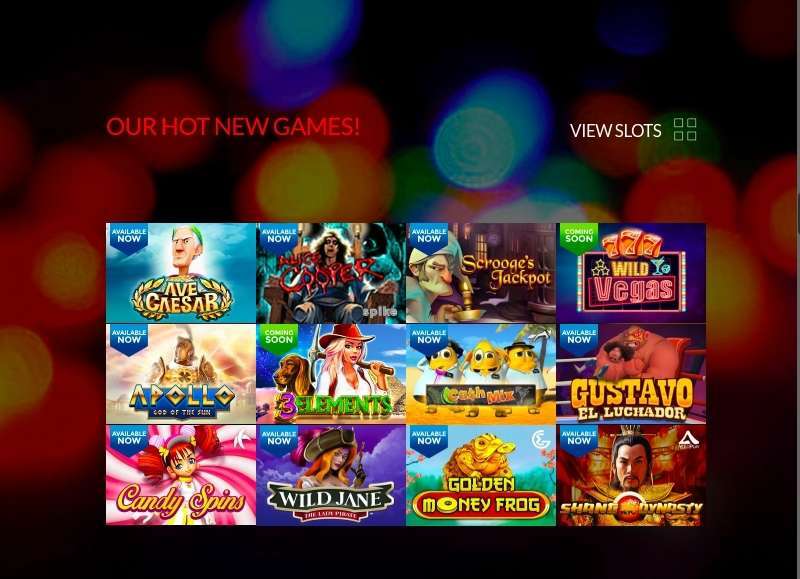 Other popular titles include Pablo Picasso, 3-reel and 5-payline slot where you are surrounded with a plethora of beautiful artworks and classical renaissance paintings. The Octopus Kingdom takes you into a world surrounded by water, and the bonus round makes you pick between a choice of ladies that you would introduce to the king. There are also two different bonus features in the form of Magic Waves and the Extended Walking Wilds. Immerse yourself into the kingdom of the ancient Egyptians as you explore their world and make some riches of it. The game offers a 243 ways to win betting apart from the standard features of scatters, wilds, free spins, and bonuses. There is also Megadeth based on the famous band with the same name. For the folks fond of simple casino titles, there is still a lot on offer for them. This is in the form of bingo, poker and roulette games that comes with their own set of rules. All the slots here come with their own set of unique features as well as bonus rounds ensuring that gamblers have the chance to try out their luck and get big wins while they are at it. Even the review from the general public has been one of acceptance. All the slots provided by the online casino software provider are supported on both PC and smartphones. All the slots are flash based and HTML5 compatible. Majority of developers today are endorsing this new feature in their productions which is now easing the woes and troubles of gamblers all across the globe. Be it smartphones, tablets, laptops or PCs – all devices can now easily access the casinos powered by LeGa RGS. Today, the RGS platform can be hosted on multiple platforms without any hassles. The RGS platform has been accredited and licensed as per the UK and AGCC standards. At any point of time, the site supports close to 30 languages and a wide range of currencies. Even though Leander Games has its offices in both the UK and Argentina, the casino software provider has ensured that it is regulated as per the respective country’s law. In the UK, the slot maker is regulated by the UK Gambling Commission. This means getting a license from the commission itself and adhering to any said rules and regulations as per the rule-book. In Argentina, the company is regulated by the Alderney Gambling Control Commission. There are regular audits and strict inspections on a time-to-time basis which is conducted by the agency to ensure fairness in work and also protection the rights and privacy of players. The casinos developer is registered in the Bahamas which was done solely for administrative purposes, but this does not in any way mean that there is shady business going on. On the contrary, the maker still has to undergo all the necessary checks and tests conducted by the regulators to ensure parity. A thorough check is completed to inspect the fairness of the games which is checked and again rechecked. All the products on offer by the casino are checked and rechecked at different stages. Besides all the external inspections and monitoring, there are regular checks and internal audits as well. 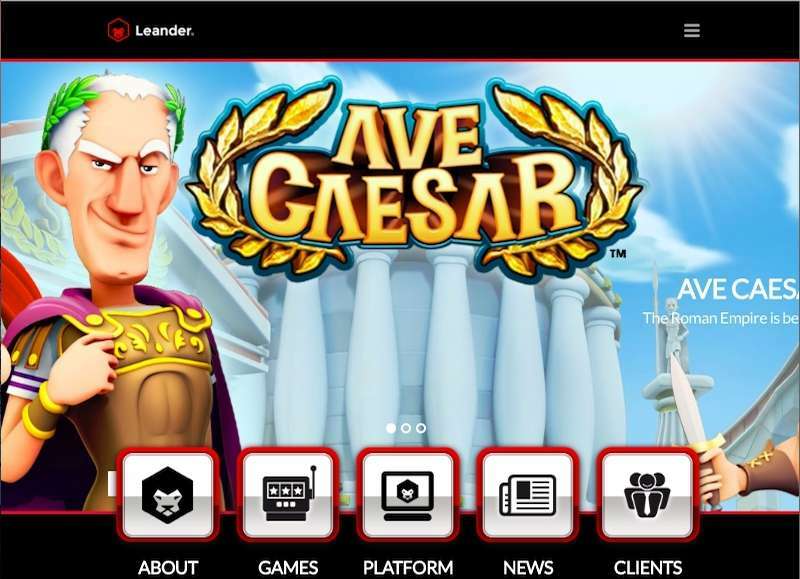 Leander Games casinos software provider has been making headway in the casino gaming industry since its inception and has emerged as one of the top and best casino software provider in the world today. The company has already won and been nominated for different awards over the years. This includes the “Social Gaming Supplier of the Year” award at the prestigious EGR awards held in 2013. It was again shortlisted and nominated for two different award categories. Even the men behind the veil had the honour of being part of the growing success of the game maker. The COO of the organization Ramiro Atucha himself had the distinction of being included in the coveted Gaming Intelligence Hot 50. With the current pace of how the developer is garnering attention, it could be very soon that we see this developer vying for the top spot with the top dogs in the industry. They certainly seemed to have deserved it.